I have a friend who doesn’t believe in having a personal relationship God, but does believe that Jesus was a good teacher. Jesus was a good teacher. His principles are worth following. He taught was other religions taught. He was a wise leader whose teachings have changed the world. My friend hasn’t surrendered his life to God, doesn’t follow Jesus as a Christian. My friend wants to be a good person. My friend tries to absorb ethical truth from every perspective in order to be a good person. My friend doesn’t want to be a religious fool. My friend has a level of spiritual thirst that has moved beyond intellectual curiosity. This person wants to learn and apply so that personal growth might happen. Thus, we are having regular conversation about Jesus, about the nature of God, and what it means to be a follower of Jesus. My friend is on a journey towards Jesus and I get the joy of helping my friend discover grace. I hope you encounter such people on a regular basis and pray for such conversations regularly. We have developed a good rapport from being friends and spending time together. He has moved from a defensive resistance to my Christian faith to an acceptance that my faith is part of my life. He has moved from that acceptance to a place of curiosity as he sees how I am living out my faith in front of him, while not being overly aggressive at saying he must believe like me. I see evidence of my friend being in the 3-4 range of this phase list. Recently, our conversations have shifted to looking at the teachings of Jesus. 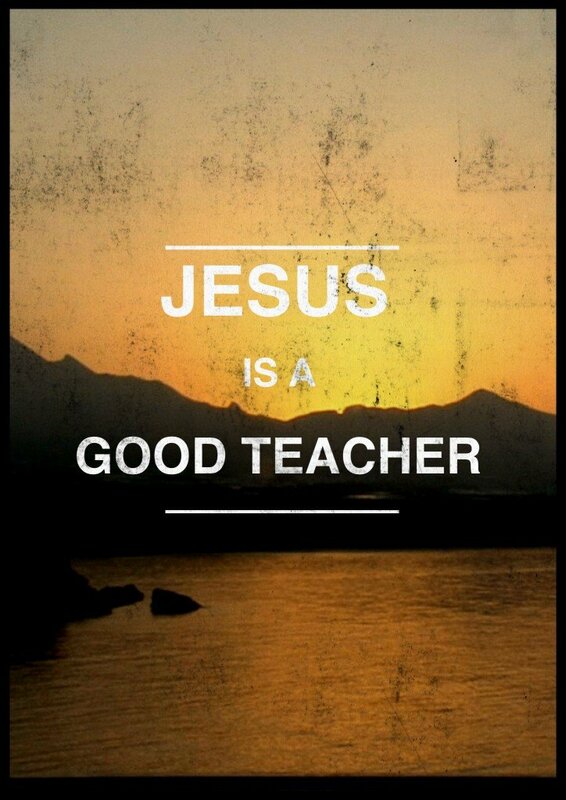 After all, my friend wholeheartedly agrees that Jesus was a good teacher. My friend didn’t realize Jesus said these things. He is beginning to realize that if Jesus spoke truth, then some kind of response is required of him. Not agree with it and say that Jesus wasn’t always a good teacher (limit the impact). Agree that Jesus was a good teacher and that Jesus will hold him accountable to these words. By looking directly at the teachings of Jesus, my friend is getting uncomfortable with his own position. He is realizing his claim that he wasn’t really following the teachings of Jesus if he didn’t believe them. This dissonance is creating spiritual thirst and a desire to do something about it. What is your favorite Jesus saying that might give a person pause, like my friend?